The Nexus Times is a regular publication covering the food-water-energy nexus and EU policy. This June edition features a wide perspective on the circular economy. http://www.cepal.org/es/proyectos/nexo-agua-energia-agricultura-alimentacion - IN SPANISH ONLY! Renaud Lafortune and Dragan Tutic, two young entrepreneurs from Quebec, Canada, founded Oneka Technologies Inc in 2012. Oneka have developed a solution to distribute autonomous desalination units providing fresh water using only waves as an energy source. The first generation of the system was developed and successfully tested within 2012 and 2014. Stay tuned for further development of Oneka ! The Oxford Networks for the Environment (ONE) mobilise the University's expertise in science, technology, business and society. They enable Oxford to find solutions to the complex, converging challenges of energy, water, and food security, climate change and threats to biodiversity. ONE contributes to humanity's capacity to make sustainable use of our natural resources for the benefit of all people and for the natural world. The NEXUS DIALOGUE SYNTHESIS SERIES highlights best practice and identifies connections between the multi-sectoral components of the nexus. The papers are designed to be stand-alone documents, but also relate to each other as key thematic areas in the nexus that have been identified from stakeholder discussions during the Nexus Dialogue on Water Infrastructure Solutions between 2012 and 2015. The aim of the synthesis papers is to bring together sectoral best practice, and to make connections between the multi-sectoral components of the nexus. The papers identify and analyse the main drivers for joint solutions, and the opposing factors that limit working together across sectors. Key factors for an appropriate enabling environment are identified to allow cross-sectoral opportunities to work better and at the most appropriate scale to help bolster existing development approaches. The nexus is only valid as a point of focus if it leads to better development." For more information on the Nexus Synthesis Series click here. Contribute to the Nexus Dialogue! 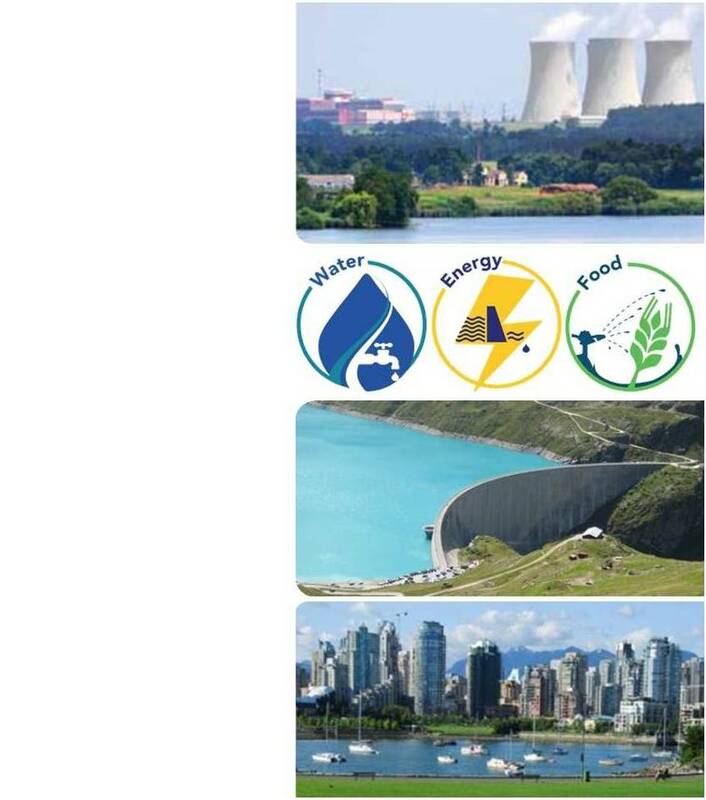 The International Union for Conservation of Nature (IUCN) and the International Water Association (IWA) offer a space for the linkages across water, energy and food to be discussed through the Nexus Dialogue on Water Infrastructure Solutions. The Dialogue is a call to action to those leading transformations in water infrastructure planning, financing and operation. IWA and IUCN are requesting submission of your ideas, case studies, and tools. For more information see below. Who is the target audience and who is involved? Where are the next steps beyond the Dialogue? How does this link to the Bonn Nexus Platform? What is the role of IUCN and IWA? The water, energy and food security nexus means that the three sectors - water, energy and food - are inextricably linked and that actions in one area more often than not have impacts in one or both of the others. Irrigated systems need energy for pumping and transporting water for crop production. Industrial processes use large amount of energy to treat, heat and move water. Urban water (drinking water supply and wastewater collection and treatment) requires energy for treatment and distribution. Water is a key resource across the supply chains of agriculture and food production. Energy is required to produce and distribute water and food: to pump underground water, to power tractors and irrigation machinery, and to process and transport food. The interdependence and inter-linkages between water, energy and food, means that crisis in one sector can quickly diffuse to other sectors and thus cause serious ecological, economical social and political ramifications. 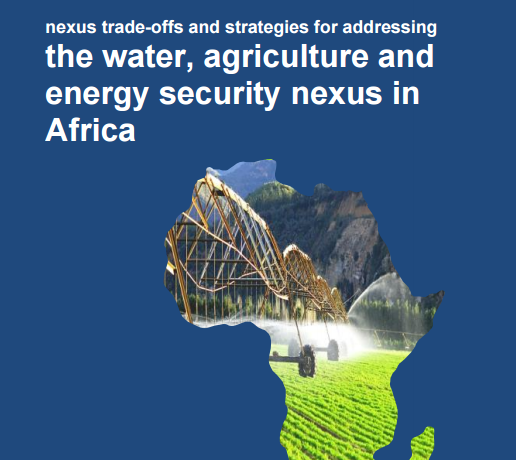 The integrated nexus approach emphasizes cross-sectoral dialogues and encourages technological, institutional and financial innovations in resource management, which will promote synthesis, balance trade-offs and enhance the overall security in water-energy-food. Click here to see some data that will help us better understand the inter-linkages between water, energy and food. There is a rich array of experience and practical knowledge across professional fields including farming, energy-production, natural resource management, and engineering. However, the challenge is actively bringing these together to provide learning, knowledge exchange and moving to practical action. The target audience are stakeholders across the Water Energy and Food sectors. People active in water, energy, food security issues and interested in sustainable solutions will find the knowledge being assembled on the Nexus dialogue platform of particular use and interest for the continued provisions and services within these sectors. The Dialogue is the first step in catalysing thinking on nexus solutions and provides a unique opportunity to move from discussions about the existence of the water, energy and food nexus, to forming new partnerships that can actively address the nexus in a localized context. It provides a platform in which stakeholders can identify ways of operationalising the nexus. Along with educating and advancing thinking on infrastructure and the nexus, the Dialogue provides the opportunity to catalyze a number of partnerships and proposals that enable follow up discussion to determine how to apply analysis of tools, and how to move to the second stage of designing and setting up solutions around nexus issues. The ‘Nexus Dialogue on Water Infrastructure Solutions’ is a partnership initiative that grew out of the Bonn Nexus Conference back in 2011. One of the objectives in Bonn focused on launching concrete initiatives to address the water, energy, food security nexus in a coherent and sustainable way. At the conference there was increased interest in investing in water infrastructure in different parts of the world because of concerns around water storage, water supply and flood protection for example, as well as food security, population growth and the need for climate change adaptation. In addition to the initiative focusing on water infrastructure, understanding what the broader set of options and technologies might be that work well across the water, food and energy sectors are key for the dialogue. For further information, check the Water, Energy, Food Security Resource Platform here. IUCN and IWA function as the Secretariat of the Nexus Dialogue on Water Infrastructure Solutions. By offering a space for solutions, both organisations are committed to an open exchange amongst all interested stakeholders.